I don’t know if this is a typo or not, but Samsung’s site currently has the regular Galaxy S8 in Arctic Silver for just $650. That’s a $100 discount and the lowest price you’ll find anywhere at the moment. 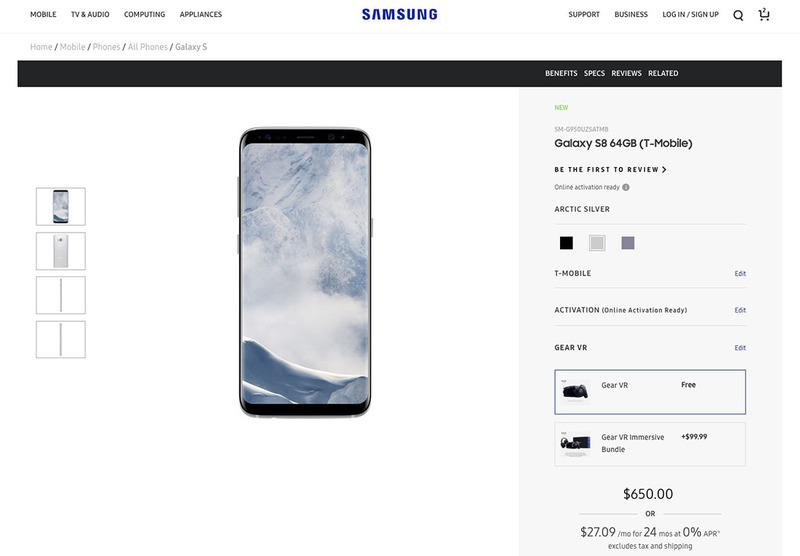 However, it is only the Silver S8 from T-Mobile at Samsung’s site. There is a good chance it’s just priced incorrectly, but they do seem to be honoring it through checkout. If you want a $100 discount, plus the free Gear VR with Controller, hurry! UPDATE: Looks like it was a whoopsie and Samsung has now upped the price back to $750.